Fees associated with filing patent applications in Slovakia as well as other patent fees are available in the fee calculator. The term for filing a patent application in Slovakia claiming priority is 12 months from the date of priority. In case this deadline is expired, the application may be filed with the restoration of priority right within 14 months from the priority date. b) name and address of the applicant. The patent application must be prosecuted in the national language which is Slovak. The patent application may be filed in any other foreign language; however the Slovak translation should be provided within two months from filing. The term for filing the priority document is not fixed; however it may be filed after the filing of the application. The translation into Slovak is required. The non-legalized and non-notarized Power of Attorney is sufficient to perform the patent registration in Slovakia. After filing an application, the Slovak PTO sets the term for filing POA. Usually, it is two months. If the applicant is not the inventor or one of the inventors, the assignment deed confirming the applicant's right should be submitted. No official legalisation or notarization is required. The term for filing the assignment deed is not fixed; however it may be filed after filing of the application in Slovakia. Request to conduct the substantive examination of a Slovak patent application has to be filed no later than 36 months after filing an application. If the disclosure of information about the invention has been made by the applicant at the officially recognised exhibition within six months before the date of filing, or, if priority is claimed, before the date of priority, such disclosure does not disprove the novelty of an invention. The notification with a set term for paying patent printing fee is issued after the Patent Office intends to grant a patent. Accordingly, this term is set by the Office and cannot be extended. Annuities are payable starting from a 3rd year in accumulated manner. For foreigners, it is required to perform the patent prosecution in Slovakia through an agent, registered Slovak patent attorney. 1. Online Search databases: Slovakian Patents, European Patents (EPO). 2. 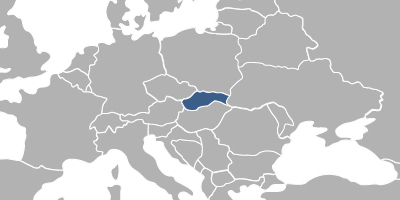 The patent protection in Slovakia may also be obtained via European Patent and its further validation in Slovakia. 3. Inventions may also be protected as Utility Models in Slovakia. Please contact us if the above information contains any discrepancies with Slovak IP Laws.